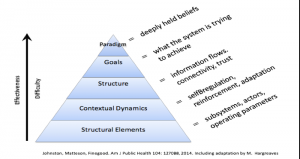 C3 Collaborating for Health | Complex is not the same as complicated! 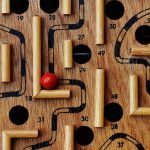 Blog » Complex is not the same as complicated! Complex is not the same as complicated! Amazing and mind-blowing were just two of the responses fed back to C3 from attendees to describe C3’s most recent International Breakfast Seminar that was held last month last month, for which C3 welcomed back Dr Diane Finegood to speak about getting to actionable, sustainable, and cost-effective ways of preventing NCDs. Dr Diane T. Finegood is a Professor and Fellow at Simon Fraser University’s Morris J. Wosk Centre for Dialogue. Her current work is on the application of systems thinking to complex problems. Diane began by emphasising the focus of the seminar – how we get to preventing NCDs and the complexity involved in getting there. Complexity is the amount of information needed to describe something and it is increasing. Currently, we are at the edge of chaos, i.e. between an orderly and a chaotic space, however complex is not the same as complicated. Different thinking is needed to address complex challenges and systems thinking is needed to: help define complex problems; plan and execute interventions and; assess impact. Diane used three examples to explain the variations in complexity: baking a cake; sending a rocket to the moon and; raising a child. Simple e.g. baking a cake. The problem is clear, the same rules apply every time, generally most people don’t need a lot of expertise and a protocol is followed. Complicated e.g. sending a rocket to the moon. There is some uncertainty related to this problem, instructions can be created but continual trial and error are required. The problem requires a high level of expertise, but it is reproducible and it is not surrounded by randomness. Complex e.g. raising a child. There is lots of uncertainty and no direct transference from context to context. In general, expertise are not helpful and experts in child rearing do not give us the kind of information that significantly helps – individuals that raise children must constantly adapt and learn. Complicated and complex are different, and they require different levels of expertise. A system is made complex by non-linearity, interdependency amongst individuals and randomness. The Obesity Systems Map illustrates the importance of the interdependency of variables in a heterogenous population when talking about complex problems. In general, epidemiologists break down problems into little pieces in order to solve them. It is easy to say that people must act in order to change what is going on, however usually, there are multiple causes and no single solutions. Systems thinking encourages individuals and organisations to think about connections and explore the emergent nature of the whole – a paradigm shift in thinking is needed. A primary care physician in the US that provides preventative services would in real-life, require 11,773 hours annually or 7.4 hours per working day to meet the US Preventative Services Task Force evidence-based recommendations. (1) This is obviously not a practical solution. Systems science has a 40-50-year history and it is just starting to help us shift how we think. Systems science includes the components: network science; system dynamics and; microsimulation modelling. One reason we are not systems thinkers is that the logic model dominates the health and social-care landscape, and this is not helpful. There exists a belief that the best science is based on the reductionist evidence-based pyramid, which ranks systematic reviews, critical appraisal, meta-analysis, truth, and expert opinion. However, it is the people with expert opinion who better understand context, therefore perhaps we need to flip the model over. By cutting through randomness, we lose contextual information, which is vital to enable us to implement things in the real world. Systems thinking helps to shift the way we in which we work, and accept heterogeneity and non-linearity as a starting point, and then act. The Obesity System Map emphasises the interdependency between domains; the thickness of the line is the number of connections between variables. This type of diagram emphasises interdependency. It is not a definite map of obesity to tell you to figure out what to do but instead it is a tool to facilitate conversations. A tool like this can be valuable because it enables a conversation, where a person, who works in one department can relate to work with somebody in a different department. Lots of other tools have been developed such as causal loop diagrams, concept mapping, network mapping, visual or graphic mapping, system effects mapping, fuzzy cognitive mapping and Delphi models. A group in Australia is bringing in graphic artists to community meetings to develop maps about what people are saying, the art work is turned into a more quantifiable diagram. The bits and pieces of the diagram do not really matter, the problem definition depends on who is in the room. If we are going to use a systems thinking approach for problem definitions, individuals or organisations need to develop a shared understanding among stake holders, and use tools that reflect the complexity of a problem to help everybody understand where they sit in a system. Intervention is where we are lagging behind in public health in terms of systems thinking. There are many places and levels to intervene. The Intervention Level Framework (2) explains intervention from a systems thinking perspective. Paradigm: The deepest held beliefs that drive a system and the source of a system’s goals, rules, and structures. It is difficult to intervene at this level but it can be very effective. Goals: The targets that conform to the system’s paradigm and need to be achieved for a paradigm to shift. Actions at this level can change the aim of the system. However, sometimes what the system is trying to achieve is not always obvious. Structure: The interconnections between system elements and subsystems. Actions at this level will shift the system structure by changing system linkages or incorporating novel elements. Contextual dynamics: The feedback loops within a system that allow the system to regulate itself by providing information about the outcome of different actions. The framework suggests that as you move up the levels, the effectiveness and difficulty of an intervention increase. Reductionist science mainly gives us evidence at the lowest levels of the system. Good science wants us to prove something works and then implement it with fidelity in another environment. Systems thinking focuses on improving something rather than proving it works. In Canada elected ministers are asking for evidence, this is good and does not happen often, but the problem is we do not have a good evidence-base. Over the years, we have been collecting ideas about intervening in a systems approach, only recently we started thinking about paradigms and how to shift beliefs. In 2004 Trish Greenhalgh (3) described a model and put complex systems in the centre. One challenge is that governments do not act in this way, instead they want a scientific and orderly change supported by science. To pull together the domains of a systems thinking approach, it must be emphasised we do not have an adequate evidence-base. In a synthesis of the literature to address type 2 diabetes, 30 papers were collected, the characteristics of interventions were analysed according to their complexity and the papers were rated according to their complexity – this was different to a meta-analysis. The analysis showed that the more aspects an intervention incorporates, the more likely it is to be effective. Diane closed the seminar by referencing the evidence-based pyramid: the most important evidence comes from the expert but just flipping the old model is not enough, we need a new one. The other reason we need a new model is that we need an intellectual framework to enable the development of methodologies in public health that we do not have in order to obtain empirical data and to do this we need to apply a systems thinking approach. Most policy makers do not know what this means, and this is a challenge that we need to address. The most important message from this seminar is that complex is not complicated. Systems thinking is different and can help in the domains of complex problem identification, the planning and execution of interventions and in the assessment of their impact. Diane served as president & CEO of the Michael Smith Foundation for Health Research (2012-2016) and inaugural scientific director of the CIHR Institute of Nutrition, Metabolism and Diabetes (2000-2008). She is an internationally recognised researcher with scholarly work in a range of disciplines. Her current work is on the application of systems thinking to complex problems. She has also been invited to sit on the UK Prevention Research Partnership (PRP) Expert Panel. Greenhalgh T, Robert G, Macfarlane F, Bate P, Kyriakidou O. Diffusion of innovations in service organizations: Systematic review and recommendations. Milbank Quarterly. 2004. Liz is research and projects officer at C3 Collaborating for Health.